this friendly club is open to all, regardless of standard. social events for young and old. Fancy a high energy workout at the same time as improving your tennis? Cardio Tennis is a really fun, high energy fitness class. Lasting for an hour, it’s run on court and incorporates many aspects of tennis - a lot of movement and ball hitting. Whilst the main goal is improved cardio fitness it will also help your tennis game and your level of tennis doesn’t matter at all. When are we holding Cardio Sessions? 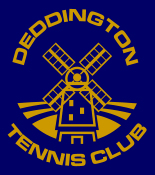 Our plan is to start off with 2 Cardio Tennis sessions per week – Saturday mornings (10.15-11.15am) and Wednesday mornings (9.30-10.30am). The first two sessions will start on Saturday 6th April and Wednesday 10th April. The cost will be £6 per session to members and £7 per to non-members. The first session you come to will be half price. There will be one FREE trial session this Thursday at 10am. If you would like to book a place on either of those sessions please let Ed know and he will book you on. There is a limit to the number of participants per session and so places will be given on a first come first served basis.